Hanging art is the differentiator and the ultimate personal touch to one's home. Nothing speaks more about the occupants, their tastes and preferences, their personality, or speaks to what they value, more than the art they choose to place on the walls of their personal living space. Yet, tastes change over time. Values change. Budgets change. The one constant is change. Ultimately, changes to the art display result. However, the mere act of changing art and repositioning a display damages the one most valuable asset most of us possess, our home. The repeated hammering of nails leaves holes that need to be filled, patched and painted. This is inefficient, not sustainable and budget foolish, and sometimes the damage is simply not repairable. Think of Venetian Plaster, as just one example. Yet, this repeatedly destructive process need not continue. Instead of driving nails into a wall that ultimately has to be repaired, hanging systems all together avoid nails and the damage they cause. 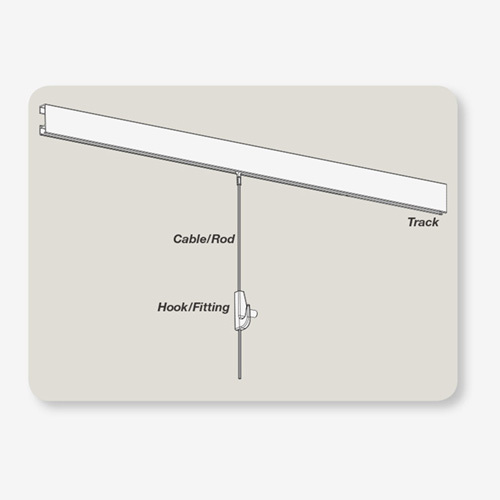 These systems typically consist of 1) a discreet track mounted at, or near to, the intersection of a wall and ceiling; 2) a thin cable, or rod, that hangs down from the track; 3) a hook or fitting that connects a framed art piece to the cable/rod. 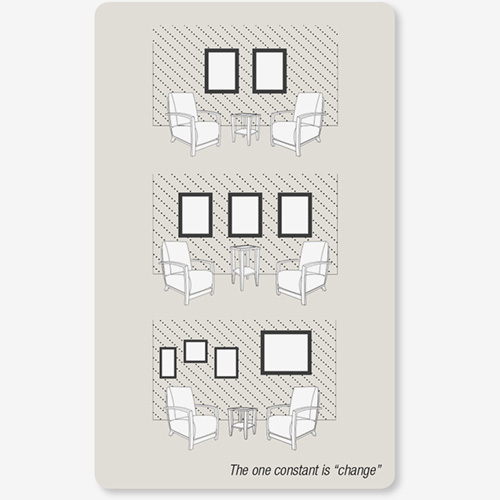 The result is a timeless solution for how to hang art and its placement and repositioning in nearly limitless arrangements - without tools, nails, and certainly without damage. However, since this is a world dominated by those who hang art with hammer and nails, art is prepared for that world. 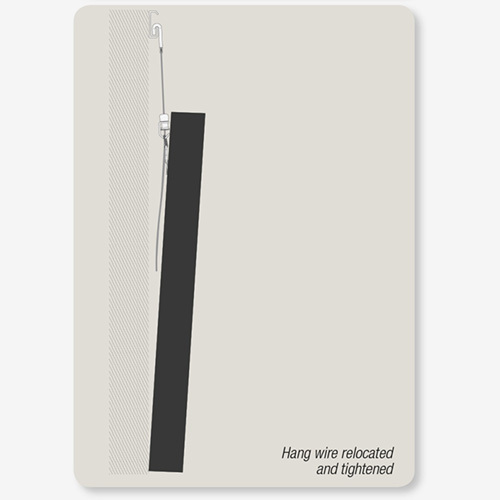 There are some steps that will prepare framed art to better reside with hanging systems. Frames and framing hardware are traditionally prepared with a hang wire on the rear. It is typically mounted to the side rails of frames about 1/3 down from the top of the frame. Also, this wire is traditionally longer than it need be. 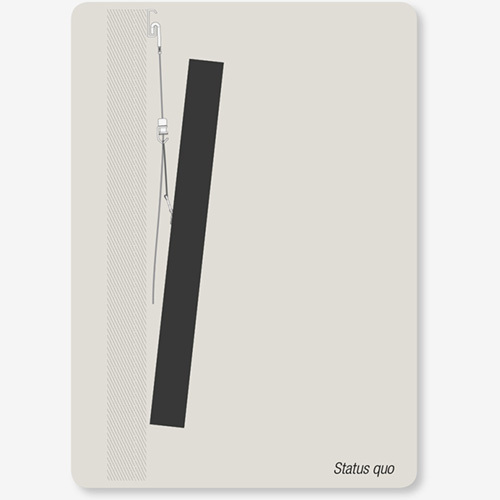 There is slack in it by some inconsistent amount. The conventional frame wire preparation can cause frames to hang face forward. This term describes a condition where the top of the frame hangs outward and away from the wall. To remedy this situation, simply move the hang wire attachment points upward on the frame and while doing so, remove the extra hang wire length. 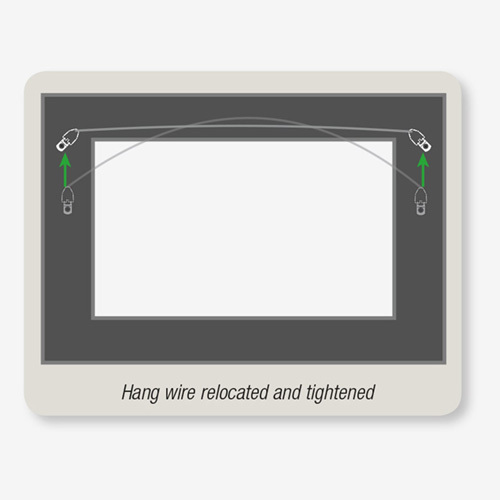 Another option is to leave the original hang wire in place and simply add a second one to use with hanging systems. 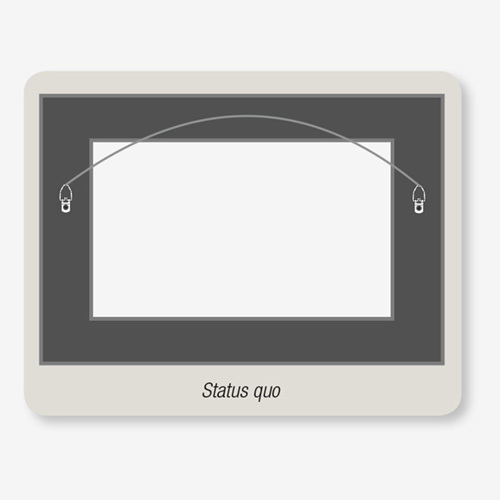 This is something progressive custom framers do as a matter of course and a valuable service enhancement for their clients. Where should these attachment points be located? That depends on the size and weight of the frame. The rule of thumb is that you want to mount these as high as possible on the frame side rails, but just low enough so that the system hook will still be hidden behind the frame top. When you support the frame from your finger at the center of the hang wire, the wire should be no closer than 1-1/4 in. to 1-1/2 in. from the frame top edge. With these steps for hanging framed art implemented, and regardless of the changes over time to budget, values, or tastes, your art will showcase very well. Do you have framed art, and decorative walls, that could benefit from using this application technique?